A collaborative partnership cannot take root unless its participants are open to the idea of a shared creative experience. 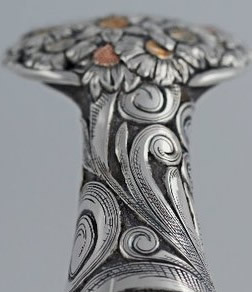 A would-be collaborator must possess a genuine willingness to share ideas and energy; invite the ideas and opinions of a partner, offering both respect and enthusiasm in return; and adapt his working style to accommodate that of his partner, all in the belief that a collaborative experience can offer an unmatched opportunity to grow and improve.” It was with the above mindset that saddlemaker Cary Schwarz and silversmith Scott Hardy began an unmatched creative journey that’s resulted in some of the finest western saddles ever made. 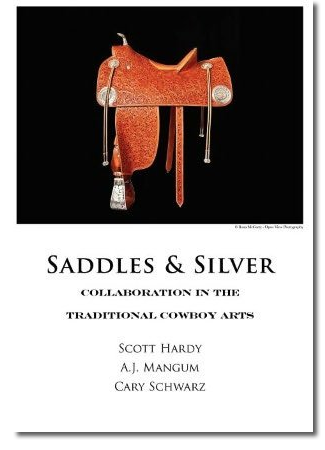 Saddles & Silver reveals the story behind each of the pair’s collaborative efforts, and offers a rare glimpse inside the creative processes of two of the world’s most gifted craftsmen. 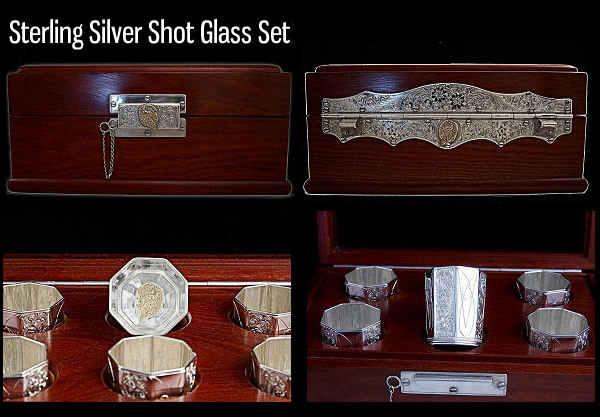 This shot glass set sold to some very happy customers!